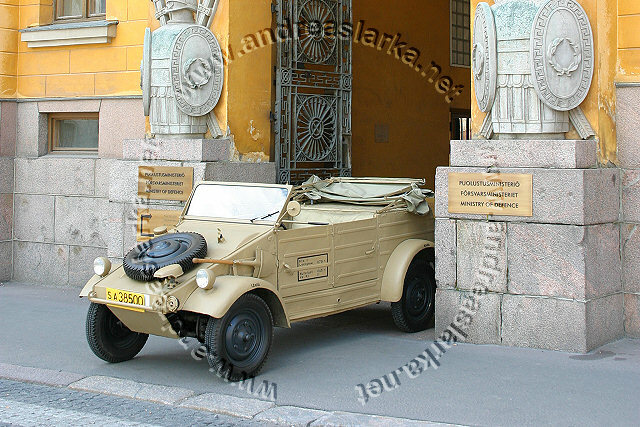 During the WWII Finland bought 8 Kübelwagen -staffcars from Germany. 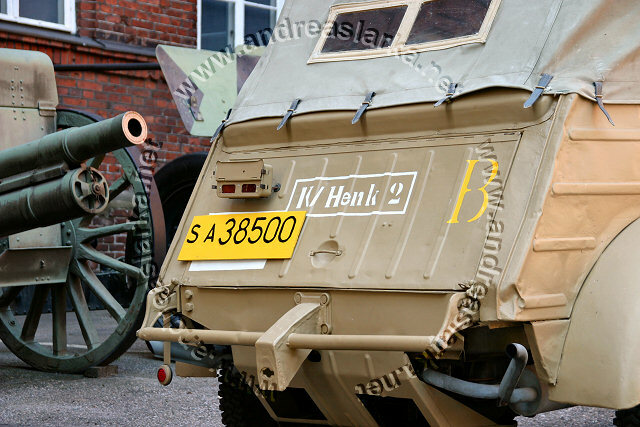 This very vehicle is the only remaining one and was used by Major General Lagus and Colonel Björkman of the Finnish Armoured Division. On June 16th 1944 the vehicle was attacked by Soviet infantry on the road between Suulajärvi and Perkjärvi. Colonel Björkman's adjutant Lieutenant Veikko Koiranen died of the gunshot wounds he suffered during the attack. At the time for his death Koiranen was working with Major Åkerman. Åkerman escaped the attack unharmed. The vehicle has two repaired bulletholes from this attack. 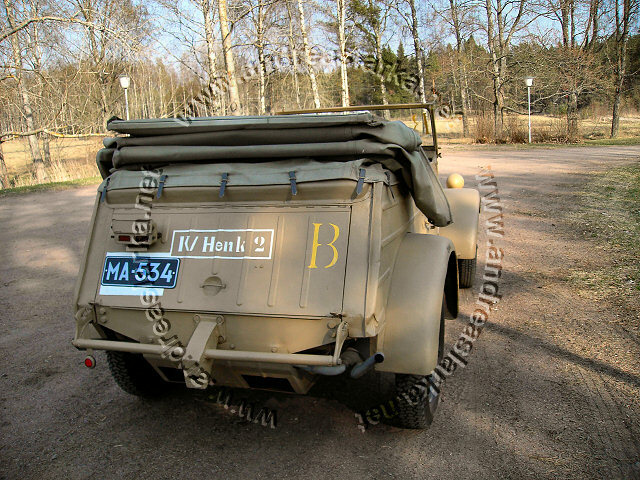 The letter "B" painted on the vehicle stands for "Björkman" and the marking "K/Henk 2" stands for "Komentajan henkilökohtainen kakkosauto" (The Commanders personal car # 2). The Commander's primary car was a civilian Opel. 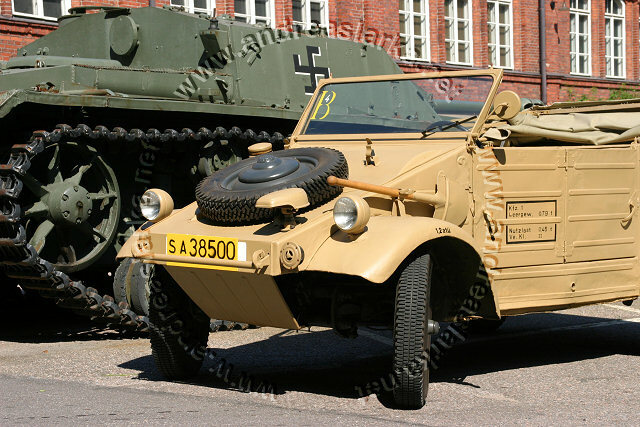 Pictures from the war suggests that the vehicles remained in German colours during the war and that the only Finnish addition was the yellow licence plates and the other small markings visible in these pictures. 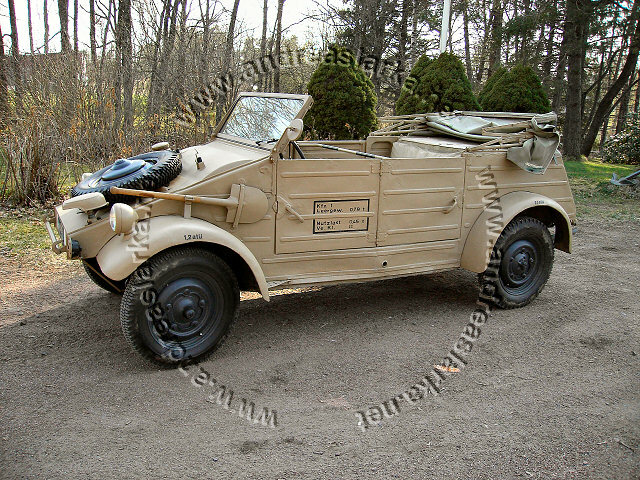 This vehicle has been restored to running condition and it now resides at the Adventurecamp Camp Degerö in Degerby, Finland. 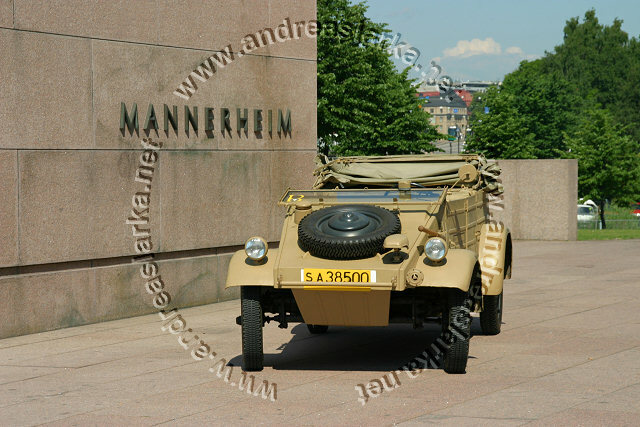 Info provided and photos copyrighted © by Mr. Sten Johansson, the founder of Camp Degerö, and by Mobilisti -magazine. All rights reserved. Used with permission.